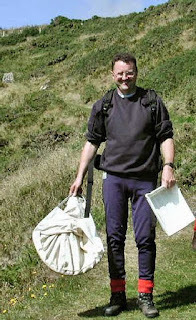 Paul Talbot, the first to seriously study micro moths in Calderdale and the inspiration behind some of the new generation of local moth-ers, particularly myself. 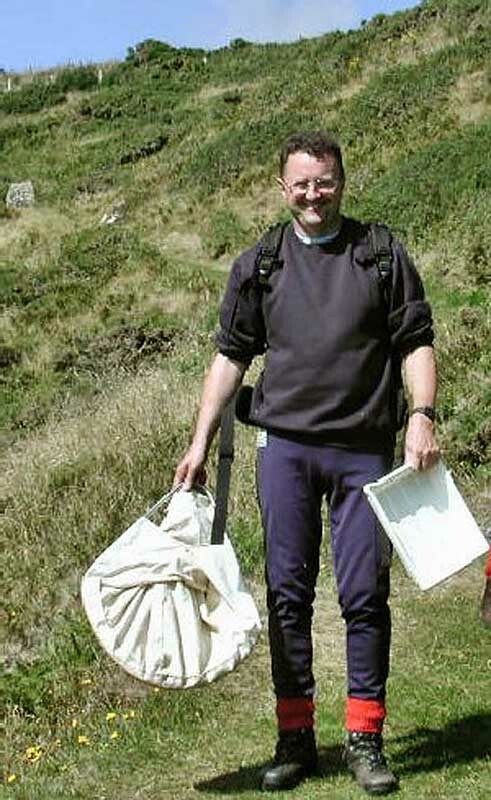 After less than a decade of busy recording he now unfortunately resides in north Wales! 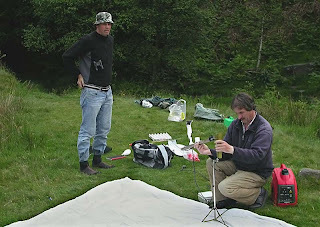 Andy Cockroft and Brian Leecy at Blake Dean, June 7th 2008. 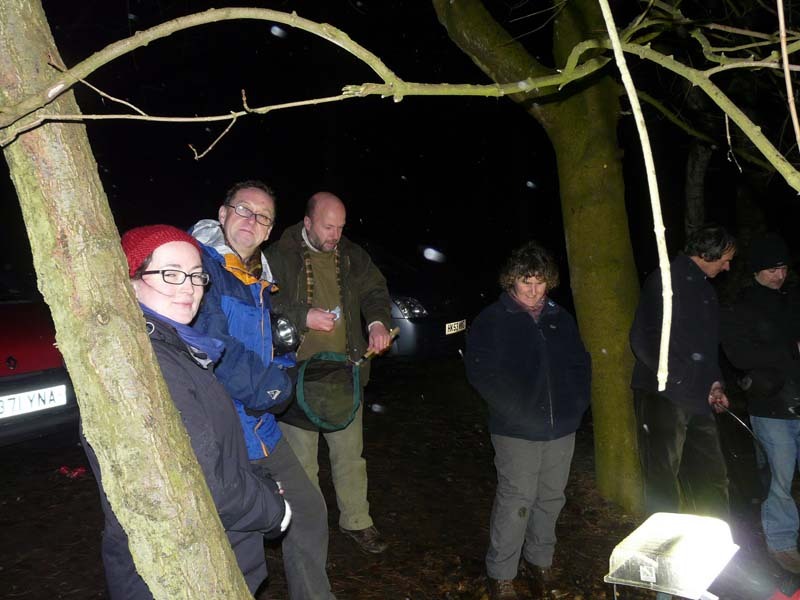 Perhaps the two most active and experienced moth-ers in the borough, running trapping sessions throughout the valley and encouraging the experienced and newcomers alike to come along. Winston Plowes, Pecket Well, May 20th 2008 on a trip to photograph Green Hairstreaks. 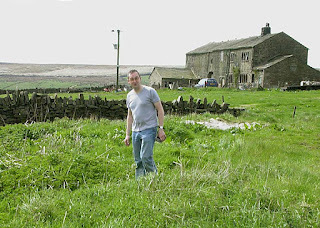 Located in Hebden Bridge he runs a trap from the bow of his barge on the Rochdale canal. Andy applying sugar solution to tree trunks at Gorpley Clough, Oct.26th 2008. 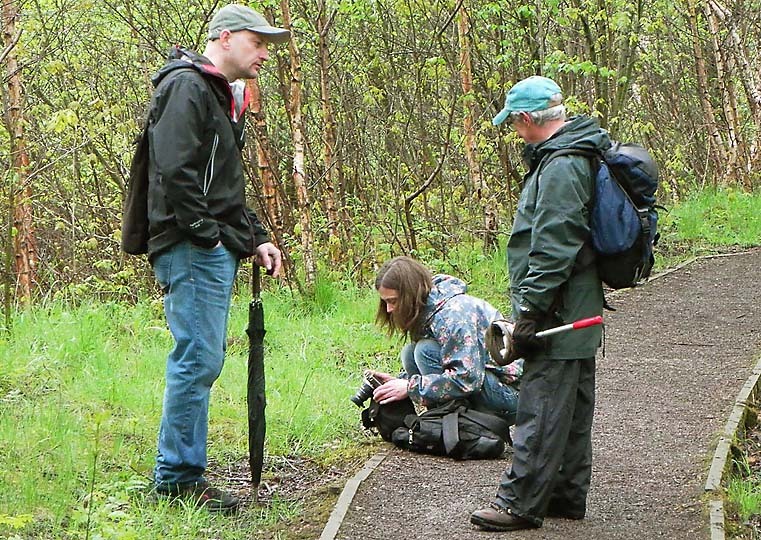 Despite cold temperatures and heavy showers a good number and variety of moths were recorded including a local speciality, the Red Sword-grass. A good turn out at Hardcastle Craggs in March 2011. Nick and Sandra Carter (centre) run their trap from the edge of Midgely moor often turning up interesting species. Also, Christine and Winston (left) and Brian and Nick Dawtry (right). July 21st 2012, Brookfoot Loop. 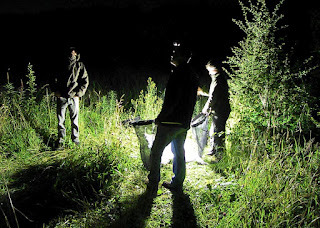 Resembling some sort of moonlit, pagan ritual this is a shot of Peter and Brian, with me in the centre - nets at the ready as we wait for the moths to arrive. 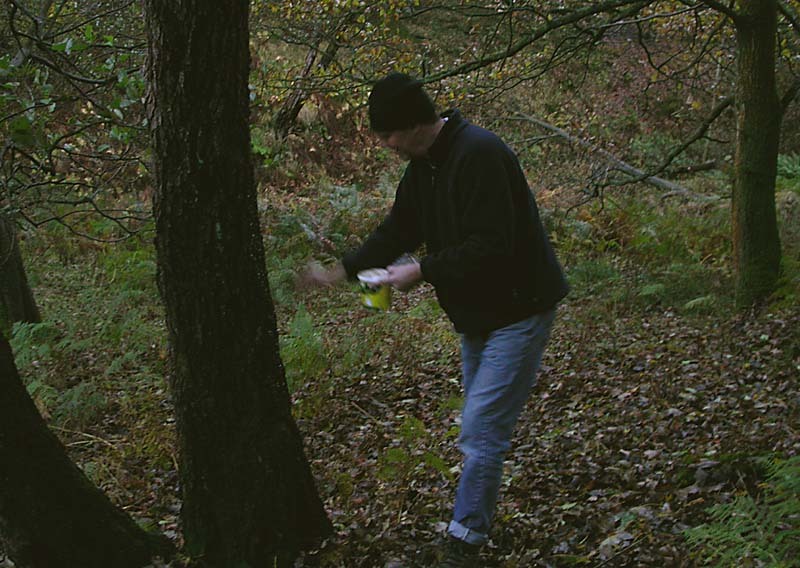 Presumably this is a more effect method than waiting for the moths to enter a trap that can be left unattended. Photo by Bruce Hoyle of the Halifax Scientific Society. 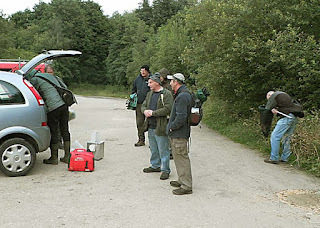 Another shot from Bruce from the Brookfoot Loop trip as the expectant group begin to gather. Not wanting to waste time I already begin to pull moths out of my net. 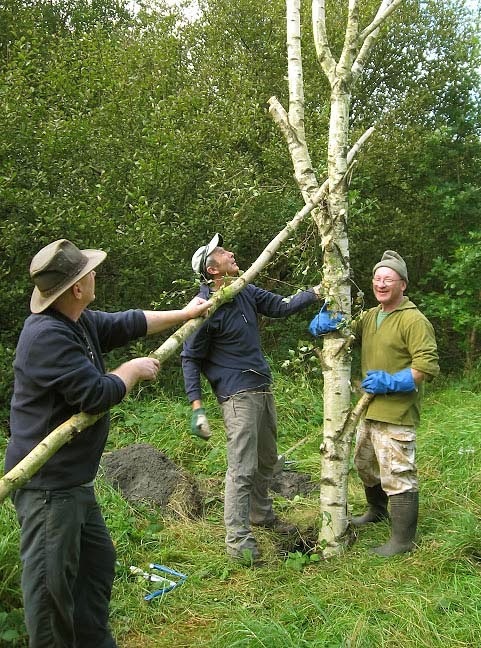 Three stalwarts of the Cromwell Bottom Wildlife Group: Graham Haigh (Secretary), Allan looking for divine inspiration and Colin (Hug-a-tree) Duke. Photo courtesy of Bruce Hoyle. Hebden water, Hardcastle Crags, Aug.18th 2012. All round naturalist and spider expert Bruce Hoyle risking all standing next to a large wood ant's nest. 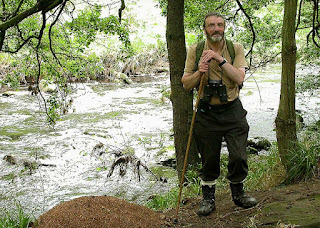 Botanist and all round naturalist Steve Blacksmith at Hoofstone Heights, Sept.23rd 2012. Thought by some to be Calderdale's highest point, Steve's taking a stone rubbing of the hoof-like mark he thinks the site maybe named after. A fungi foray at Gosport Clough Stainland, Oct. 9th 2016. 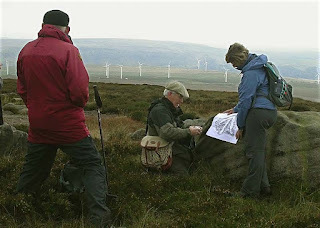 Co-lead by Steve Blacksmith left with Peachy Steve and Sarah with a field guides. 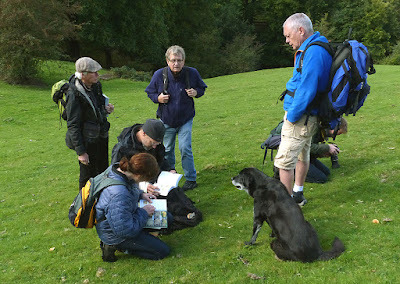 To the right are Meg (dog), Mike of the antiquarian society (rucksack) and spider expert Julian (camera). 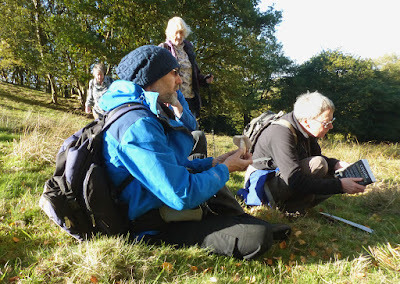 Another fungi foray at Gosport Clough Stainland, again lead by Peachy Steve on Oct. 20th 2018. 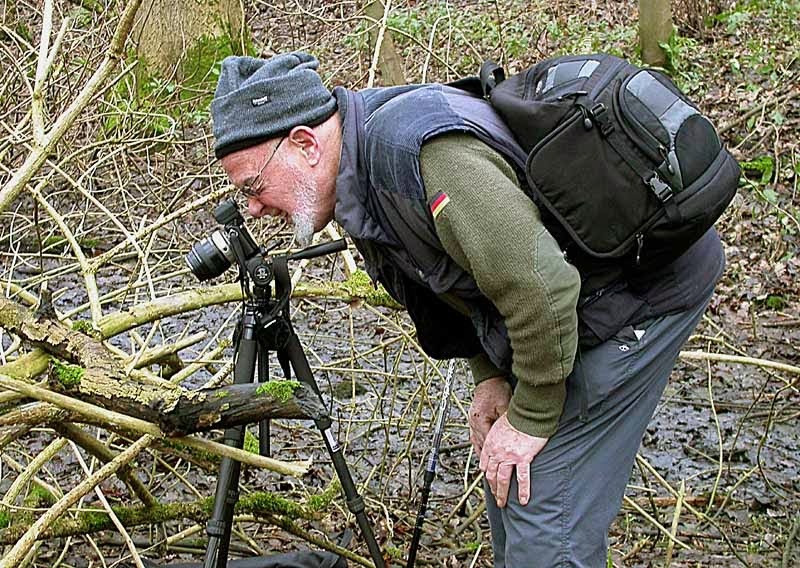 Michael Sykes, fungi recorder for the Halifax Scientific Society, photographing the rare, albino Jelly Ear at Park wood, Elland on Jan.11th 2013. 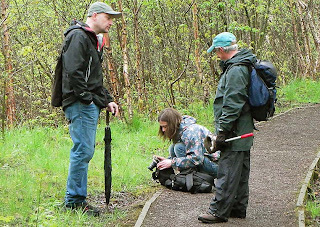 Alison Galbraith photographing mushrooms at Tag Loop, May 18th 2013. Leading the way as one of Calderdale's new generation of fungi recorders, her unlimited enthusiasm is infectious. That's me on the left by the way. Another one of me from 2006 where I'm obviously hard at work staring at the Buddleia in the hope of something rare turning up. that is a great selection of photos. 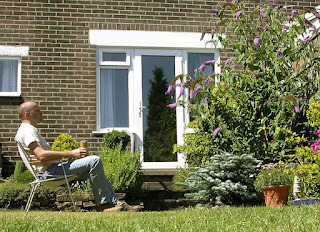 Just found me in your blog! Nice one. Thanks for including me with the others. Just come across your excellent blog after researching plume moth eggs and whilst your photograph of Twenty Plume Moth larva and ova are not the same species I am studying they were helpful.